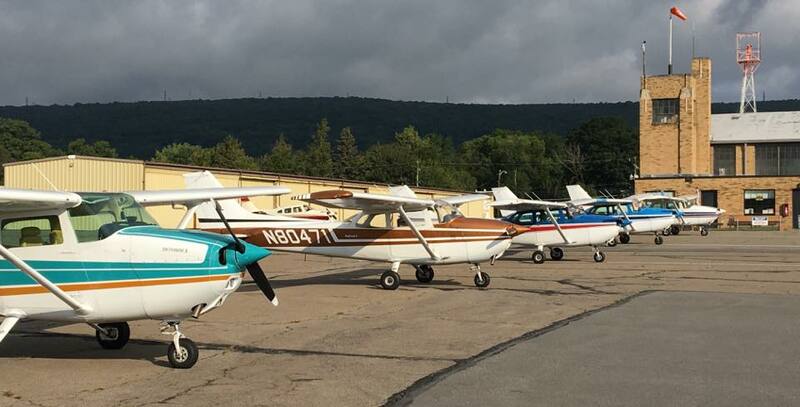 Valley Aviation Inc., located at the historic Wyoming Valley Airport (KWBW) in Forty Fort, Pennsylvania, was founded in 2006 by three brothers with an unwavering passion for flying. We are a family owned, full service FBO offering fuel, pilot supplies, aircraft rentals, and aircraft service including major and minor airframe and engine repair, We are also a FAR Part 141 and Part 61 Flight Training Center with a staff of FAA certified flight instructors which has been recognized by AOPA as a "Top 10" flight school. We are also a Laser Grade/PSI facility for all FAA written exams and we provide an on-site FAA designated examiner. We are open 7 days a week, 8:00 am to 5:00 pm except for major holidays.